I want to extend my sincerest and most heartfelt thanks to all of you who have left a donation. It means so much and helps more than you'll ever know. I recently received a message wondering if I had received a donation as they did not get a thank you. My apologies to any of you who may have felt I wasn't thankful. As a practice I do not send emails to paypal email addresses. If you have left your regular email inside your paypal note then I would have sent a thank you. 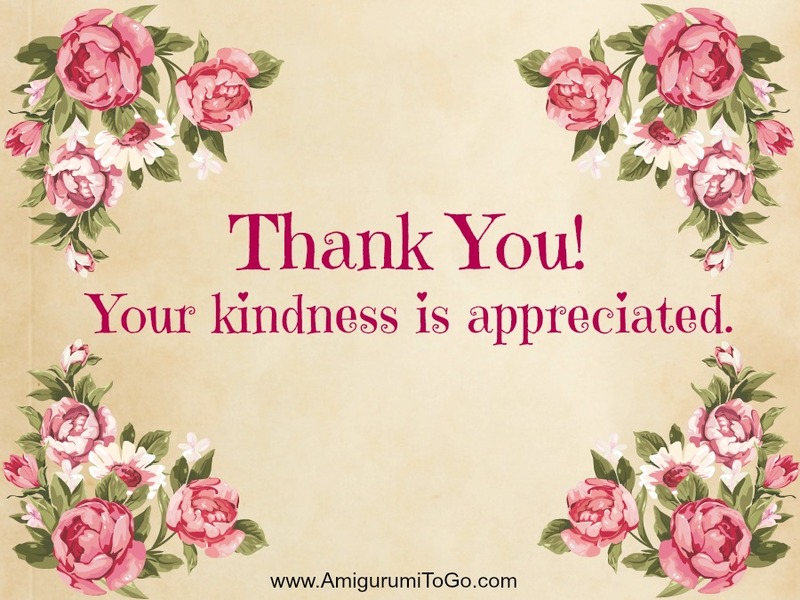 But because of this recent message I decided to add a personal thank you note right here on blogger for all who donate so it was a very good thing! The note will now be linked in the donation text itself at the bottom of each pattern (as I update each page) and also on the side of this page. You can also read the note here. Sometimes we do things that may look one way but in actual fact be the opposite of what others may think. The heart speaks a silent language and if you could see inside my heart you would see a whole lot of gratefulness! 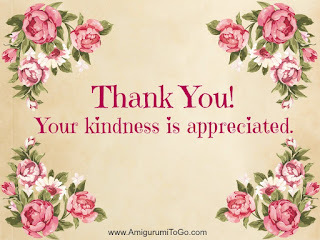 So thanks a million, your donation was received and for it I am very grateful... and for those of you who can't afford to donate, please never feel badly. Donations are for those who can and want to. It's not and never will be an obligation. My patterns are a free gift to you with no strings attached. I want you to always enjoy your visits here! Unfortunately, I have no donation at this time. However, I wanted to take a moment to thank you. My niece is expecting in Aug. and knows that I love to crochet, so asked me to make a stuffed monkey for the baby. I have an idea of how I want to make it but was having trouble with the feet. Your Regular Legs for Valentine Bear fit the bill just perfect....now I want to try making your bear and bunny, too. Thank you again. Awesome and very sweet message. Glad I decided to look for more than just patterns ... Lol. Altho just finished giraffe and elephant (quickly snatched by our youngest Granddaughter) having hard time deciding which one to do next. Pig, teddy bear, ohhhh so many to choose from. Your the greatest Sharon. Thank you for your lovely patterns and your time to do it. I love it. Sharon you are so generous. I had already decided that I would to make a donation when I am in a better financial position. Your statement telling people not to feel bad if they can't makes me all the more determined to when I can. Your generosity of spirit is so admirable. Thank you so much for your gorgeous patterns (my very first piece was the teddy) and you fantastic videos.